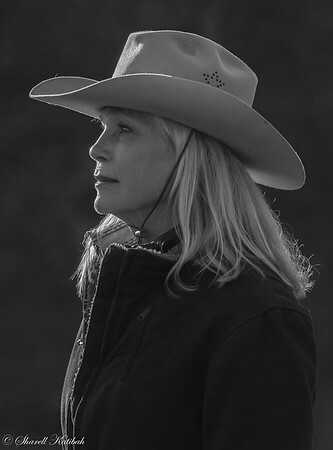 In March , 2018, Rob and I spent a weekend with 6 other photographers and instructor Piper Mackay at the V6 Ranch in Parkfield, California. The purpose of the workshop was to explore the use of light and motion in capturing magical and spiritual images. 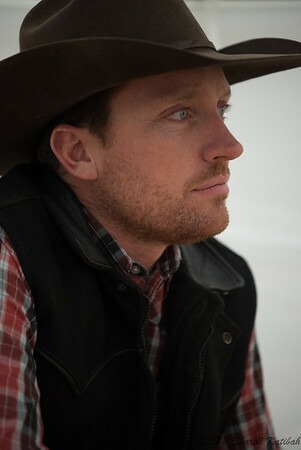 The V6 is a 20,000 acre working cattle ranch complete with lodge and a gathering-place restaurant on the premises. 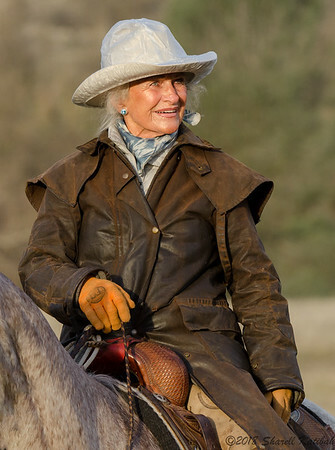 We were assisted each day by four wonderful wranglers--Audrey Griffin, Kristin Reynolds, Quentin Hall, and Brinan Varian, all accomplished and decorated horsemen and women--who rode for us, herded cattle, roped cattle, ran horses, and graciously modeled for us. It was a wonderful weekend surrounded by wonderful people. Piper did a great job with instruction. 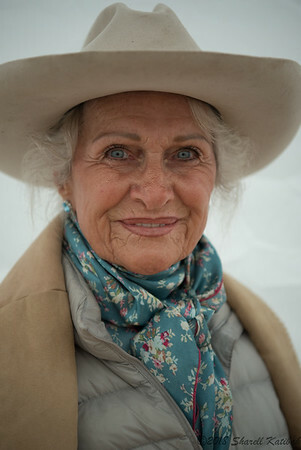 I shall carry her mantra--"What is your light? What is your background?" in my photographic toolkit forever more. 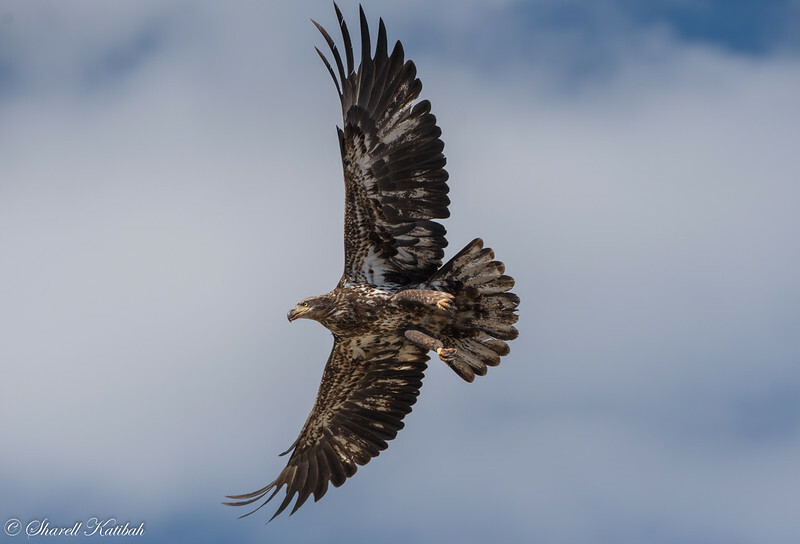 As we were driving towards the V6 Ranch this golden eagle landed on a telephone pole. We watched for a bit and took a few shots, then I put the 300 on and pointed towards him as he took off. Rob was yelling "shutter 1/2000, f8, 3 stops down for blue sky". It worked! The second that Rob got his big lens on the bird flew off. He was mine to photograph. 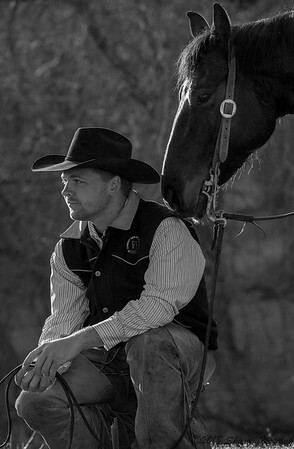 I love the connection of Brinan and his horse in this image. The little bit of light outlining his face and arm, and the beautiful gold on the horse, accentuate the affection between these two. I was pretty much in love with all of these horses by the end of the weekend. 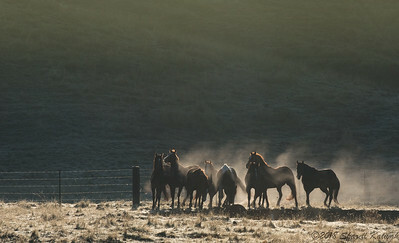 On our first evening at the ranch we "mingled" with the horses in the hopes of establishing a "connection" with them. 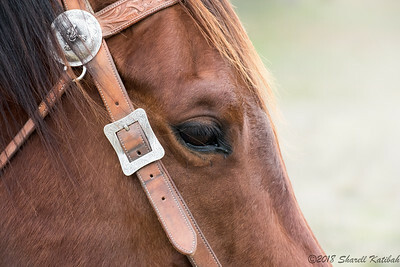 I love the expression in this horse's eye and the beautiful gold highlights on his mane and chin. I most definitely felt his spirit as I took this image. 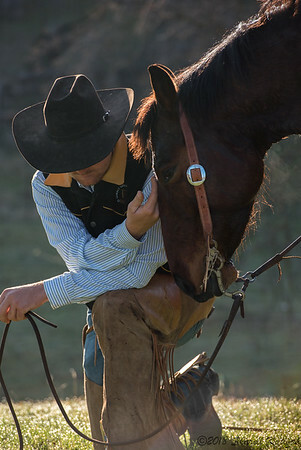 The spiritual connection of horse and rider is crystal clear in this image. 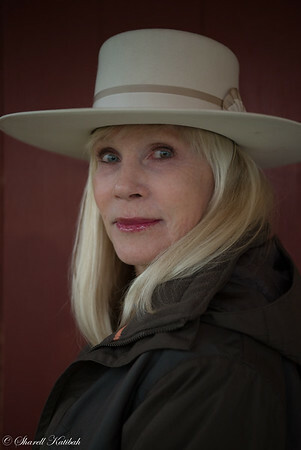 We spent an afternoon working on portraits. The hope was to have the models indoors and use outside light, but there was not enough light outside (it was raining), so we went outdoors. I was quite pleased with this image of Kristin with a brick red background. I think that the background light and the highlights say it all. 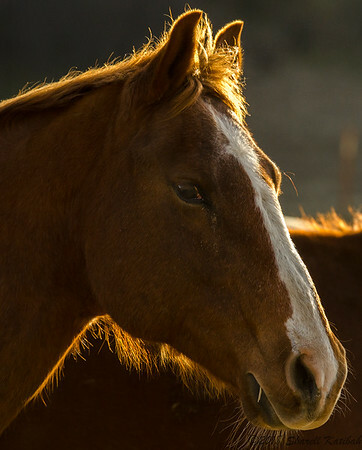 The horse on the V6 ranch were stunning. 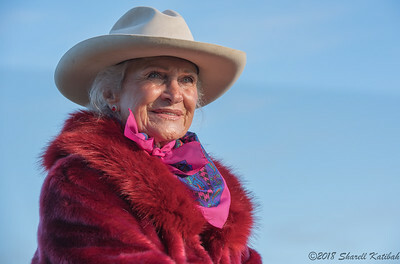 What can you say about this beautiful woman in her red fur, earrings, and classic hat in front of a blubird sky? Just classic. The ranch had just put up some white canvas tents for guests who might like to camp. Our light was waning rapidly, so we tried having the models go into the tents to see if there was any reflected light. This is wide-open and hand (and breath!) held--success! On our first morning we practiced MOtion blur techniques. 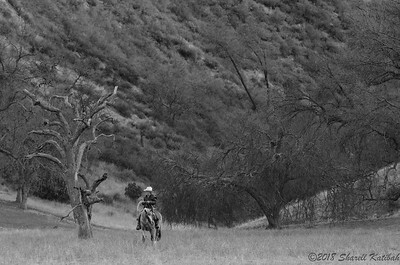 Our models and their horses provided us with many opportunities as they rode back and forth of the path in the morning light. 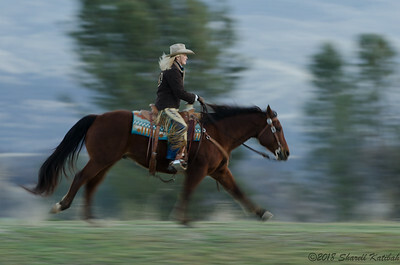 I love the rich color of Kristin's horse and her beautiful blond hair flying behind her with the dark tree background. 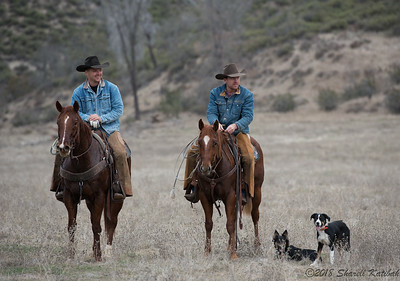 Brinan and Quentin put on quite a show demonstrating howcattle are roped on this working ranch. 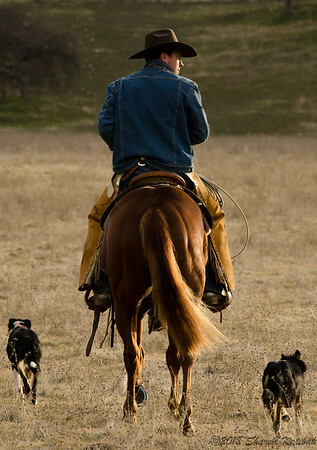 Their dogs play a huge part by nipping at and distracting the cow that has been roped. It is a lot of work! Our light had flattened out quite a bit by the time we were done, but I think that it was perfect for creating this portrait of the team. There was a bit more light to work with in Audrey's tent. I love all of the blue accents. 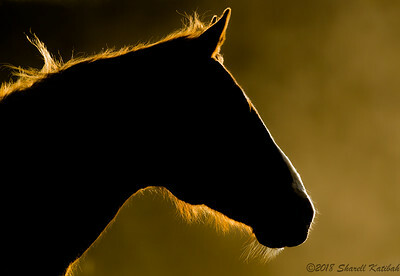 We had just a few minutes of sunlight on this early morning photo shoot. Audrey's stunning coat and coordinated accessories were perfect. She is indeed elegant. 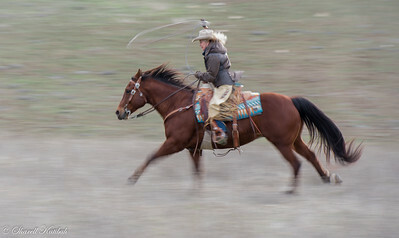 Practicing motion blur again with Kristin riding and roping. 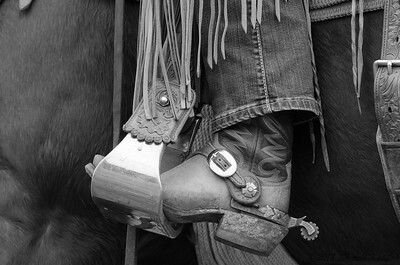 It was challenging to expose properly so that the lasso would be visible and in the right position. I was pleased with this result.